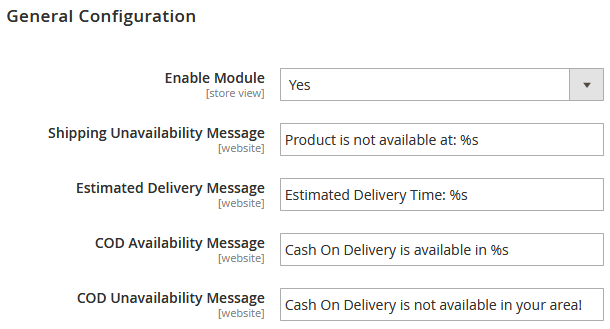 MageDelight Delivery Availability Checker module extends default functionality of the Magento 2 platform by adding shipping availability check feature. Possibility to quickly find out if delivery is available for specific areas on frontend advances user shopping experience and increases trust to online shops. To check the availability of delivery, website users only need to enter a postal or zip code of their location on a product page. If an item cannot be delivered to the specified area, a customer will immediately see a relevant message and won’t be able to proceed to checkout. With the extension, store owners can also configure availability check for cash on delivery service. Since many online shoppers prefer cash on delivery payment methods for its convenience, this is a valuable feature for both customers and merchants. The latter gets an option to restrict COD for some regions due to possible risks or difficulties to accomplish delivery in that location. The core functionality of the MageDelight Delivery Availability Checker extension is spotlighted below. 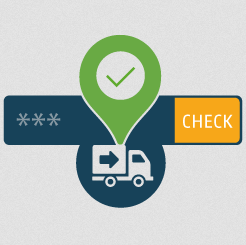 Your website visitors can quickly check if the shipping to their area is available. If delivery service is available, they will also see the shipment period. 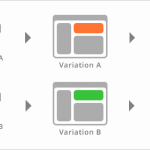 This feature significantly improves user experience and increases trust to an online store. Admin users can upload CSV files with all shipping and cash on delivery availability details with one click from the backend. It helps admins to manage easier all codes information. Postal codes can be added and edited individually as well. 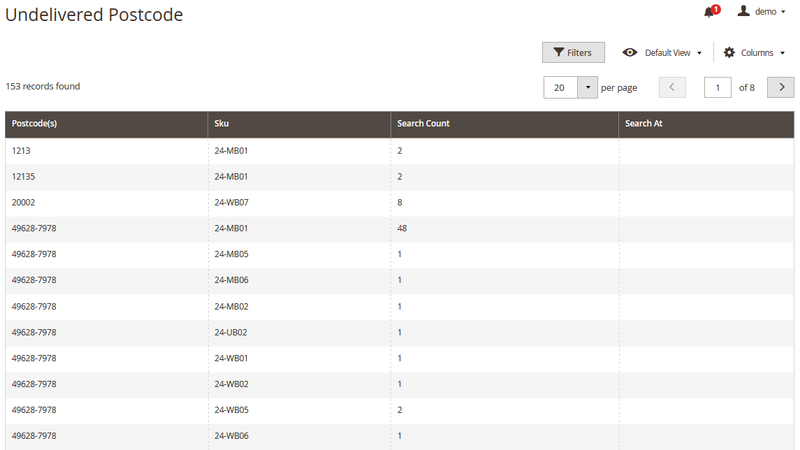 The module provides different reports allowing to see the total count of each postcode and each product search separately. Admins can also analyse the demand for unavailable products by checking Undelivered Postcode report. This functionality helps merchants understand which items should be added to inventory depending on the search area. You can create different messages to inform customers about the availability and unavailability of shipping and cash on delivery services. At the same time, the exact delivery period can be shown for the regions with available service. If a product cannot be delivered for the specified postal code on the frontend, a website will not allow a user to add the product to their shopping cart. Merchants can decide to restrict cash on delivery service for specific locations depending on various reasons, e.g. areas with the high crime rate. You can notify customers when a product they were interested in becomes available in your store. Such alert messages increase merchants’ profit, improve customer service, and motivate customers to come back to an online shop. It is useful to admit that only registered users can receive availability notifications. Here we will describe how you can set configuration settings of the MageDelight Delivery Availability Checker extension from the backend. After successful installation of the module on your website, you will need to configure license settings. To go to the License Configuration section, navigate to Stores → Configuration and select Magedelight → Delivery Check from the menu on the left. In the License Configuration, you will need to enter your serial key, and activation key, which you will find in the email sent after you purchase the module. 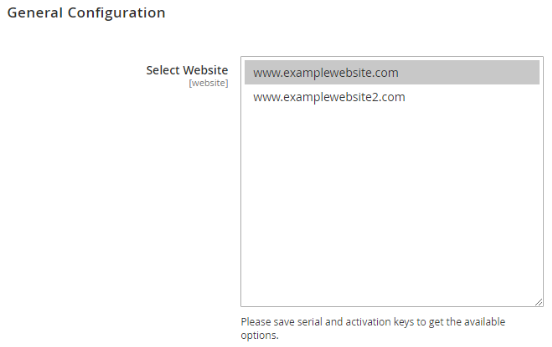 After you save your serial and activation keys, domains relevant to the purchased license will become available in the “Select Website” field of the General Configuration section. You can select single or multiple domain names from displayed options. To start using the extension on your store, choose Yes in the “Enable Module” setting. The extension allows admin users to add custom messages for both availability and unavailability of shipping and cash on delivery service. 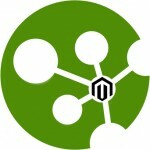 You can create your messages in the General Configuration section in the Magento Admin. Here you can also configure to inform customers about estimated delivery time. In the Product Alerts section of the extension configuration interface, you can enable sending messages to customers on product availability. 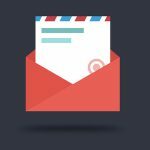 In this way, customers will receive a notification when the desired product gets available for their shipping postcode or zip code. In this section, you also choose a template for alert emails. To view and manage the list of all added postcodes or zip codes, navigate to Delivery Check → Postcode → Manage Postcode. You can edit or delete each record in the Manage Postcode grid by clicking Select in the Action column. If you need to search for a specific postcode, Filters feature can help with this. To add a new postal code to the grid, click on the “Add New Postcode” button in the top right corner of the page. In the New Postcode page, you can add an individual postcode or zip code with all details on shipping and cash on delivery service, including shipment period for the specified area. Here you also decide to enable or disable shipping and COD service for the entered postcode. With the module, admin users can easily import all postal codes with shipping and COD availability details. 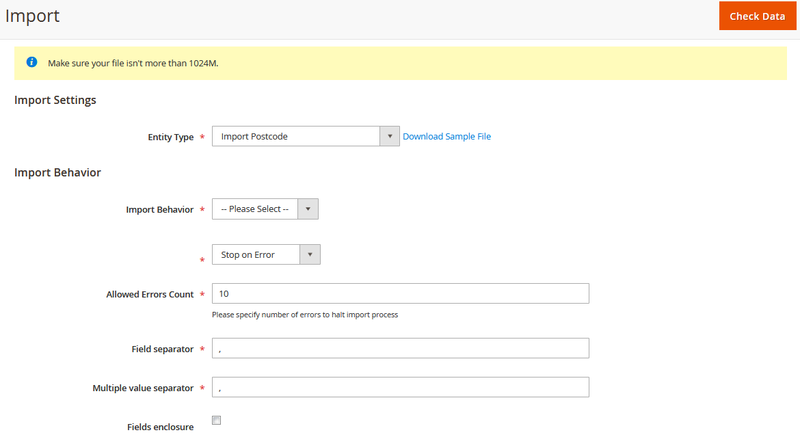 To configure import options, go to Delivery Check → Import Postcode. In the “Entity Type” select Import Postcode. Now you can configure import settings. In the “Import Behavior”, you choose whether to add, replace, or delete existing records. In the next field, you should specify an error behaviour. Here you can select “Stop on Error”, which will halt importing if an error occurs, or “Skip error entries”, which will allow skipping over a record with an error. In the “Allowed Errors Count”, you should enter the number of errors after which you would like to stop importing. In the “Field separator” and “Multiple value separator” you decide which separator signs to use. In the File to Import section of the Import configuration page, you can import the list with all postcodes using CSV file. Admins can specify if shipping or COD service is available directly from the CSV file. Here you also choose where to store images in the “Images File Directory” field. 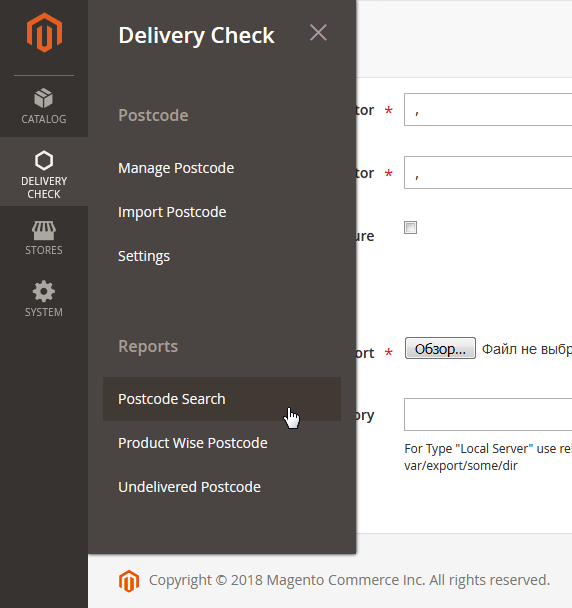 The Delivery Availability Checker module provides three types of reports for postcode search count. To view the records on postcode search, select the relevant report type from the Delivery Check → Reports menu. 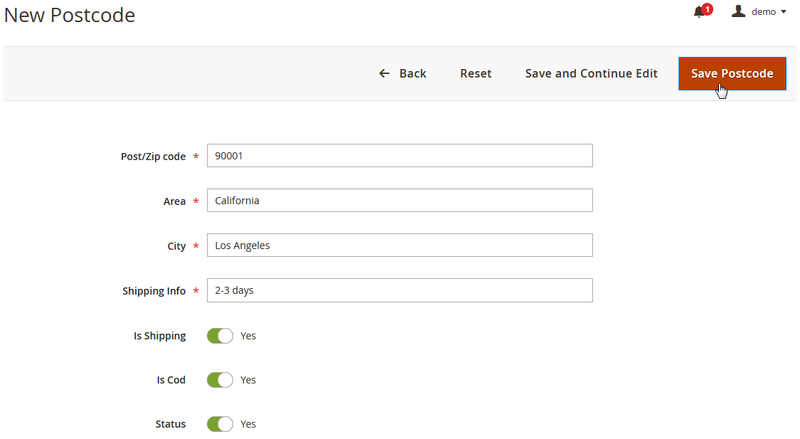 Reports help you keep separately search count of postcodes by frontend users in the backend. The Postcode Search report shows the number of search count for each postal code individually. In the Product Wise Postcode report, you can track the search count for each product’s SKU. In the Undelivered Postcode report, you can analyse the interest of your website visitors in the items that are unavailable currently, basing on the recorded search count. With the Delivery Availability Checker extension installed on a web store, frontend users can quickly check shipping availability for their location postal or zip code. To find out whether product delivery is available in their region, they just need to enter their postcode and click “Check” button. In the example above, an error message is displayed as a merchant does not deliver to the area with the specified code. The MageDelight Delivery Availability Checker module is a powerful tool for improving customer support and accelerating shipment processes. With the features provided by the module, customers get all the necessary information about the delivery before placing an order. The extension improves user experience, builds loyalty to your brand, and incentivises customers to come back to your store. You can buy the MageDelight Delivery Availability Checker module for Magento 2 for a fair price of $99. The extension package includes free lifetime updates and 180-day customer support. MageDelight provides its customers with a money-back guarantee during 45 days. Installation service and extended period of support can be purchased additionally. 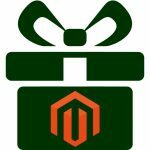 MageDelight works with the certified Magento developers who follow strict coding standards when developing the extensions, so you can be sure that the MageDelight plugins will run smoothly on your website.